Why not ten? I don’t know. 1. Essential Reading for Instructional Design? This post from February 2008 is still at the top, lists and links to books and articles, including Dr. John Curry’s post How to Get an Instructional Design Education Without Paying Tuition. Another oldie, from 2007. 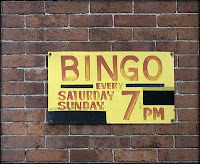 Probably simply popular because it’s on the sidebar list in my blog. Tells you something about placement. My live blogged notes from an April 2009 webinar with Enspire learning. 4. Instructional Design – What’s in a name? 5. The Corporate Moodle – A Tipping Point? I wrote this one back in June 2009 and it does seem to be the year of Moodle. The eLearning Guild’s 2009 LMS report certainly agrees, and by evidence of the number of corporate Moodle projects we’ve worked on this year at Kineo the tipping point seems to have arrived. 6. elearning Authoring Tools Review – Help! I asked for readers’ input to create a mindmap of eLearning authoring tools. Lots of great information here! This two year old post from January 2008 apparently still has some traction (again, might be its placement in my blog sidebar). Do IDs need to know how to use the tools? Cammy stirring up the ID pot again. A post from May 2008, in which I discuss the use of rubber ducks. Apparently, trying to make six sigma training interesting is a challenge many of us face. I don’t object to learning objectives, but rather the dry manner in which they’re presented. Isn’t there a better way? From December 2007. Here’s to finding more to talk about in 2010! Happy New Year everyone! 2009 was a big year for me. New job. New company. Working full time from a home office. Oldest child in kindergarten. New challenges – and some old ones too. A great year, really. Thanks for joining me in this journey and for all you’ve contributed to my learning over the past 12 months. To try and hold on to – if just for a brief moment – some of what’s been going on in my brain this year, I thought I’d take a moment to catalogue the pile of topical books I’ve read. Hopefully I learned something from all that book reading. Multimedia Learning, Richard Mayer. The classic, in which Mayer looks at research and provides conclusions on effective use of multimedia in eLearning. Ruth Clark works with Mayer’s research results (in fact, much of Ruth Clark’s presentation at DevLearn this year was a summary of Mayer’s Multimedia Principals). Designing World Class e-Learning: How IBM, GE, Harvard Business School, And Columbia University Are Succeeding At E-Learning, Roger Schank. I hadn’t read any Schank before this one. In depth case studies, looking at goal-based scenarios. Great e-Learning on a huge budget, no doubt! Michael Allen’s E-Learning Library Creating Successful E-Learning: A Rapid System for Getting It Right First Time, Every Time, Michael Allen. Another Michael Allen classic. Moodle 1.9 Multimedia, Joao Pedro Soares Fernades. Ideas and best practices on using multimedia effectively in Moodle. Working with and designing for Moodle was new for me in 2009. I have much to learn. In 2009, I co-presented two sessions at DevLearn, gave a talk at the Massachusetts chapter of ISPI and presented a few online webinars. 2010 looks to be more opportunity – I’ll be co-presenting three sessions at the eLearning Guild’s Learning Solutions conference in Orlando in March, running an eLearning Guild Online Forum in January. And who knows what else. That said, I don’t want to be one of those boring presenters who gets tomatoes thrown at me for putting up horrible text slides. Oh yeah – good stuff for e-Learning too! Catching up on the pop business books from the last few years, these books gave me a little insight into current thinking. Free: The Future of Radical Price, Chris Anderson. Ironically, I paid more for this book than any other book this year. $28 impulse buy at an airport. Tribes: We Need You to Lead Us, Seth Godin. And also, The Zombie Survival Guide: Complete Protection from the Living Dead, Max Brooks. Critical for getting through DevLearn! I’m sure I’ve missed a few. If you’re developing eLearning on your own with minimal help from a graphics team, you might want to check out e-Learning Templates.com. Put together by two guys who call themselves “The eLearning Brothers”, the site offers PPT templates you can use in your Articulate courses, along with complete course style kits to Flash based eLearning games and quizzes. Sounds like a good resource for freelancers and eLearning designers working in small departments or as a one-person show. If you try it out, leave a comment here and let us know what you think. Have you ever seen the claim: "built using proven Instructional Design." Do you ever wonder how they proved it? Did they prove it? What are they actually talking about? It's one of those buzzword bingo terms people use. Needs to be added to Jane Bozarth's E-Learning Buzzword Bingo Card. Follow up to the eLearning Guild’s DemoFest held at DevLrn in San Jose this November. These are favorites of that event. Brent Schlenker: This year a lot of great entries. This year didn’t do awards format – wanted it to be a sharing format for attendees to show what they do. Took parenting website and converted to iPhone. Innovative use of mobile technology. There was a lot of buzz around this app at demo fest. Had created 4 parenting programs on website. Organized by Family Challenges – branching exercises. - “Unfinished Chores” – included situations in families via videos – then you pick one of three responses after seeing video. After viewed each choice, got a testimonial from each family member. Then went to a Q&A – open text response and you compare your response to the suggested response. The iPhone App – 5 folks working on this program. Took a week to go through iPhone App training. Took content and pared it down to work on iphone. Had to edit video content from website – rechunking scenarios, etc. Text pages with responses and key concepts. Spent a lot of time figuring out the flow of the application. On the iPhone more restricted in navigation – needed to make sure people weren’t stuck in an endless loop. 5 weeks of development time, 1 week of training time. Design of application was only about 4 days. United Way – largest non-profit in the world. 2.5 million volunteers! Course was to provide staff with basic information about work. Source materials were PPTs. Created an Adobe Connect Meeting Room – Chapters – added chat pod. Could go into meeting room while learners were in there to interact with them. Asynchronous courses were offered in a room – so you could interact with other learners who were in there, instructors, etc. Content generated in PPT, used Presenter plugin to upload to Connect. Used some Captivate for interactivity. 4 month project, 2 people working 1/4 of time. Lessons learned: maximize simple tools, partner with SMEs to make content more accessible, trimming fat, being creative/outside box, put self in the learner’s shoes, get something out there. United Way had never developed an online course before. New hire training dilemma for a younger generation -- (Journeys is a pre-teen/teen focused shoe store) . Retail store employees selling shoes and working stockroom/backroom. If can’t find the shoes, can’t sell them. Introduced general concepts of stockroom. intro screens with diagrams and text. Then took them right into an activity. Look at a stockrrom and organize it – a few boxes are out of place. Once they got the basics, took them into more of a game with timed interactivity (boxes rolling in on conveyor belt). Sales Scenario is the culmination. Customer comes in and you need to make observations and greet customers. “Sellometer” -- shows how well they are doing and get some coaching as they go along. Problem: online instructors are anonymous. Want to help people recognize their instructors when see them at the grocery store! Add personality to the online course with video that allows them to walk across the page. Online host/video instructor guides through this module. Get a sense of who the instructor is vs. just reading onscreen text. Need good lighting for even background to help with chroma – light kit was about $460. Use PPT in place of a teleprompter for the instructor. Use Premiere Pro (because they already had it). Do at 720p resolution so get higher quality green screen filter and then reduce it. Shure Lavalier wireless microphone System $299. Product helped developed for McGraw Hill Education. Diagnostic exercises for writing scenarios, correcting errors in a writing exercise. Creative uses of tools all around! 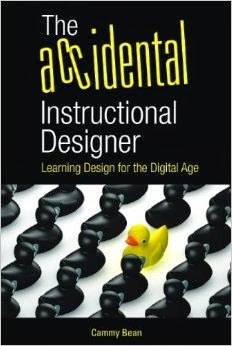 There's been a great conversation going on around my last post "Accidental Instructional Designers". Check out the comments, and also be sure to look at Sahana's response on her blog. Sahana is a practicing ID in India, where ID programs don't really exist yet. Instead people turn to 8 week ID certification programs to get started. At what point does an "accidental instructional designer" become intentional? What does the typical ID grad student look like? Are they mid-career, having worked in the ID field for x number of years and now looking for that foundation? As Brent Schlenker said in the comments on Sahana's post -- the web 2.0 world has completely changed how we access expertise and information in this field. It's a different time and place today than it was 10 years ago. I do agree we're all ready to start talking about what the critical ID competencies are for today's corporate instructional designers. Connie Malamed (The eLearning Coach) has made a nice start with 10 Qualities of the Ideal Instructional Designer. * For the record, I don't think I will get a graduate degree in ID. At least not this year. I've written about this before -- I'm getting it informally. Here. With all of you. And it's customized precisely for me. And it's free. I like free. Plus, I don't have time to go to real school! I've got too many other things to do.